Do you want to change the background of an image using the simplest tool? Here is the article for you. 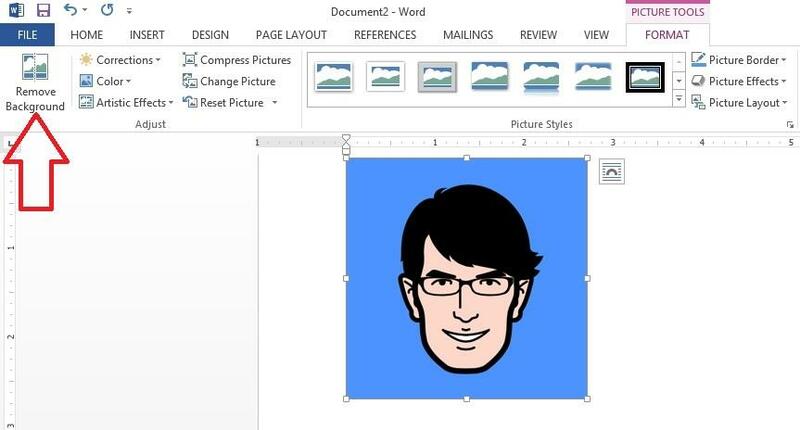 Read the tutorial below an know how to change the background of an image using MS word 2013. You need not to go for a premium photo editor. Just follw these steps and get the background of your mage changed using the MS Office Word 2013. When it comes to image editing, we often go for high end image editors like Photoshop etc and sometimes even for paid photo editors. But not everyone knows how to use these high end photo editors and using them for quality edits needs real-time training and some tutorials which is not possible for everyone. One of the most important thing in photo editing is changing the background of an image. For that you need not to search the web to get the best possible photo editors. All you need is to have the latest version of Microsoft Office i.e. the Word 2013. This version from Microsoft comes with lots of new stuff including the image background changer. In this article I am going to provide you a simple tutorial to change the image background in just a matter of minutes. Let us start! Step 1: Launch Microsoft Office Word 2013 and opt for a blank document. Insert the image of which the background is to be changed from the top panel like in the screenshot below. 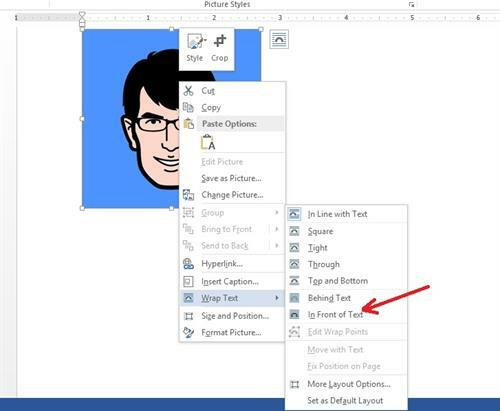 Step 2: After inserting the image of your choice (I am using a sample image in this tutorial of a cartoon), right click on it and go to the text wrapping option at the bottom on the menu displayed. Select the option of 'In front of the text' in the drop-down menu. Step 3: Now double click on the image and on the top. You will see the 'Picture tools' toolbar and the first option you see is 'Remove Background' button like in the below given screenshot. Step 4: Click on this option and you will see the following options which you can use accordingly during the background clearance. Also, you will notice that the background of the image changes to pink color. Make sure that the pink color is picked up by the whole image background and then click on the 'Keep Changes' option. Step 5: You will see that that the image background has changed to white. Now you can insert another image and move the former one onto it. It will cast the background of the latter image like in the below screenshot. Now you can crop the image according to your need. This method is applicable to almost every image but in step 4 you need to be sure that the pink color is retained by the each element of the background. If not, then you can use the 'Mark Areas to remove' option to select the background elements one by one manually. 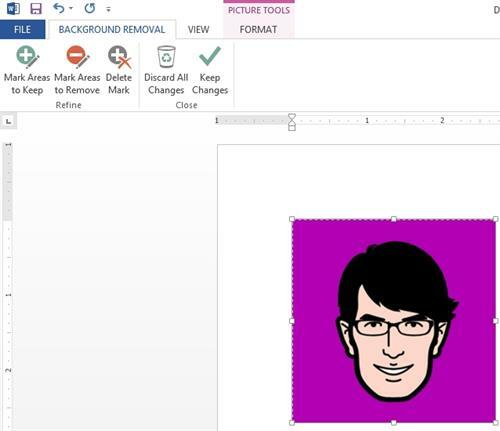 This was the tutorial about how to change the background of an image using Office 2013 from Microsoft. This tutorial includes 5 easy steps to change the background of an image. Microsoft Office has great image editing tools and hence I recommend to use it for basic editing rather than the high end photo editors which are tough to understand and expensive if paid one is is in options. Also, if you encounter an error while using the above methods, feel free to contact me via the response box below. I will be very happy to help you find the solution of your problems. Read Apache OpenOffice 4.1.1: An alternative to MS Office? Choosing a photo-sharing site is an important decision, whether your interest in photography is strictly business, on the level of enthusiast, or limited to uploading pictures from your smartphone. These sites are all capable of providing exposure to your work, and many offer password protection, batch upload services, and enough storage space to keep you snapping. Read on to find out which photo-sharing site is right for you. Do you like to preserve old photos and enhance their aesthetic effect? Here is a list of some awesome photo editing software which will make your photographs look better than the originals. Top ten free photo editing apps for Android. In this article we will review the best free Android apps for editing photos and images. We will also review some apps which enhances the functionality of camera of your Android device. Making digital photo collages is not a tough task with CollateIt collage maker. It's one of the recommended and best collage makers with easy to use interface and moreover it is available for free download. Know how to make collages using this CollageIt collage maker for Windows and Mac OS. That is really an interesting find! Maybe many computer geeks would be aware of it, but noobs like me had no idea that such an option exists. Thank you for pointing thus out for us. It is indeed a great tool for a simple task of changing the background of an image. Rather than installing and learning a premium image editors, it should be a blessing in disguise for people like me.